Mount Nokogiriyama lies between Chiba Prefecture’s Awa District and Futtsu City. The name means Saw Mountain because it was used as a stone quarry in the early Edo Period (1603 - 1868) and cutting the stones left marks. Nihon-ji Temple at the top has a tall Daibutsu statue (Big Buddha). 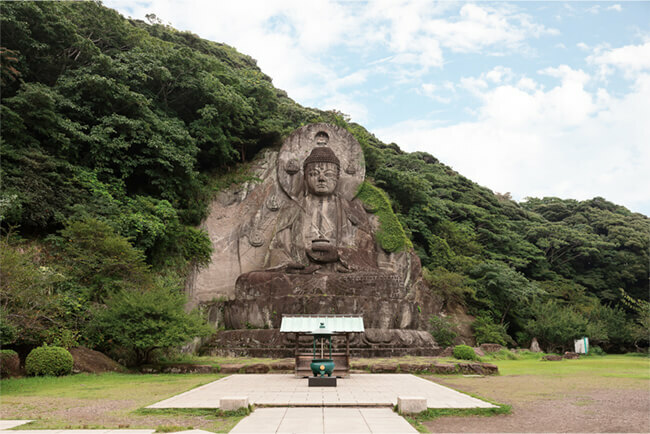 The stone statue carved out of the mountain depicts the Buddha of Healing, Yakushi Nyorai. 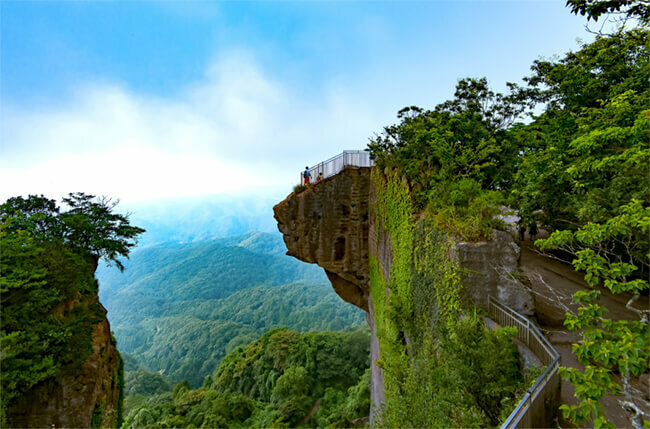 Access the area by car, use the hiking trails to go up, or take the Nokogiriyama Ropeway. From the top you have panoramic views of the Boso Peninsula and across Tokyo Bay you can see Mt. Fuji and Tokyo Skytree.